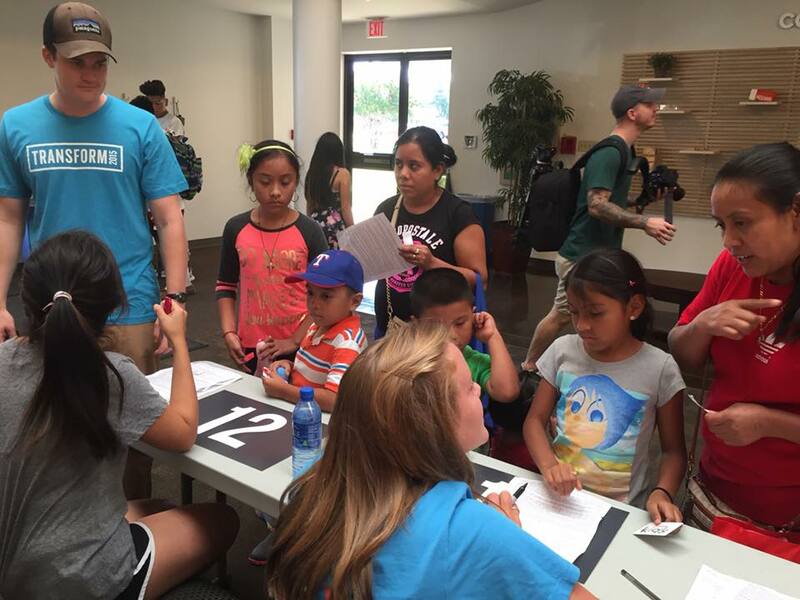 Transform is an event The Village Church hosts every year to serve the local community that surrounds their Dallas campus by providing health screenings and more to those in need. It’s specifically a way to serve the two schools located next to the church, Cary Middle School right behind the campus, and Thomas Jefferson High School right beside the campus on Walnut Hill. Many people showed up to volunteer including, 90 Project Leaders, 50 Registration Team volunteers/Spanish translators, hairstylists, and photographers. 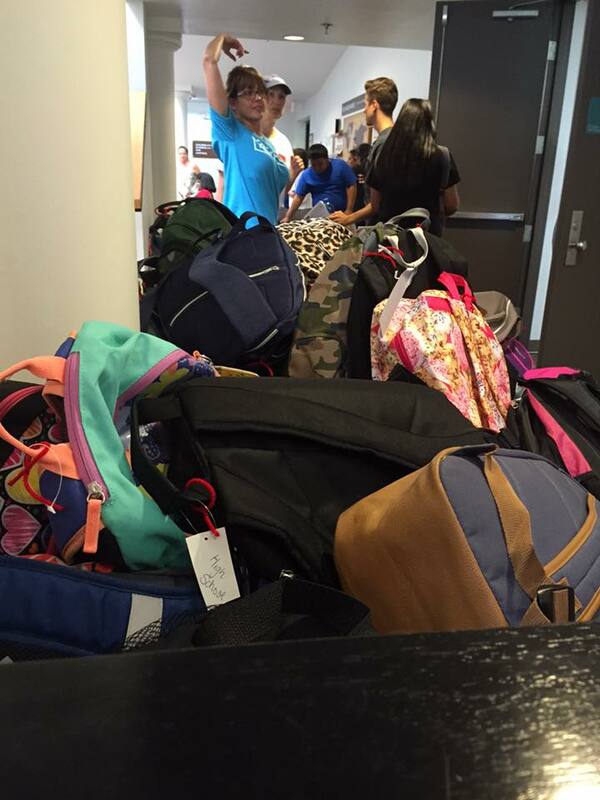 Many others donated hard hats, school supplies, backpacks and landscaping supplies. We showed up at 9:30AM last Saturday to have a volunteer orientation for the translation/registration team before getting started. 99% of the people that receive benefits and services through Transform are native Spanish speakers so the need to connect with people in their heart language is great. There were about 10-15 of us that spoke Spanish well enough to be able to guide people through the process from the moment they arrived, to provide directions to haircuts, family pictures, community resources, and lunch. Over 2,000 people from the community were served in less than three hours. We helped with everything from answering questions, distributing school supplies, guiding people to their next station, giving directions, explaining the liability waiver, to connecting people with other community resources like medical clinics. As soon as we arrived, we jumped right in. It was said amongst the volunteers that a mother arrived at 2:30AM with her children to stand in line outside. The first volunteers began arriving between 5-6:00AM to set up and many families were already in line. 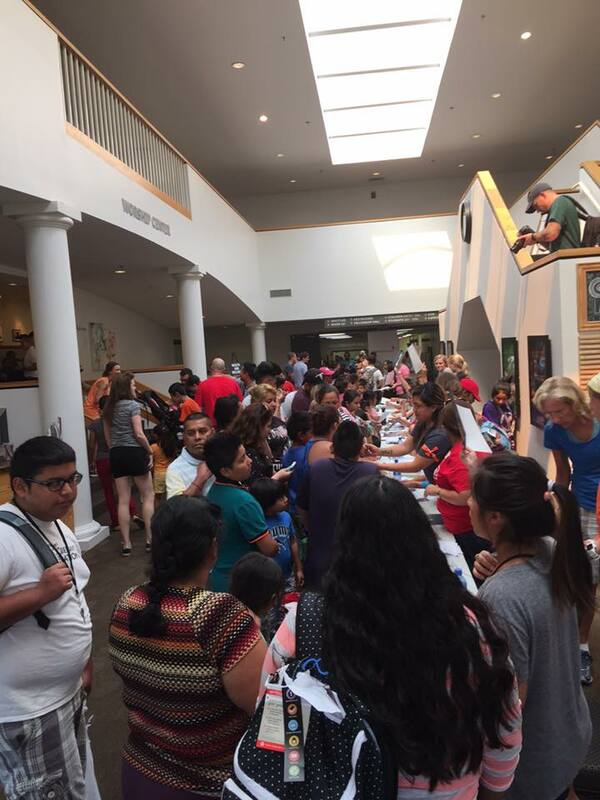 By the time we arrived at 9:30AM, the line wrapped around the building with hundreds of families waiting to receive a back pack and school supplies. As people entered the building they were organized into groups by letters and numbers. Each group was ushered into the main sanctuary where they waited in the air conditioning to get to the registration table. We worked our way through the entire crowd, family by family, to talk about what resources were available and help them fill out a waiver. As we were approaching the end of the line, Edu came to me and said, “I think you should come and talk to a boy.” I asked why, and he explained that he had just met a young boy named José* and that he was all alone. I was surprised because we had talked to many people that day, and no one had come alone, let alone a young teen. When I came up to José he had his head down between his hands and was looking at the floor. I introduced myself, and we began chatting. I asked him if he played basketball, and he said, “No, not really.” “Soccer?” I tried again. His face lit up. I asked what position he played and who his favorite team was. We laughed for a while, and talked about the best player in the world (Messi), and the best team in the world (FC Barcelona). After a while I asked José, “Well, how is your day going? What can we help you with?” He said that he came because he needed a backpack. “And you came all alone?” “Yes”, he replied. It was hard to keep it together. I don’t know many charming 14 year olds who have the responsibility to go to an event, and stand in line in order to get what they need to go to school. I said I would go downstairs and see what we could do. I found our two gifted registration leaders and pulled them aside, shedding some tears in the process and told them about our new friend. They told us to pull him out of line, bring him down, they would let him pick out a backpack, connect with him and help him get what he needed. We saw him walking around a couple of hours later with his younger sister and a big smile on his face.